Arlyn Simms grew up in the small central Montana town of Malta. His family owned a ranch where he had many responsibilities. Growing up on a ranch, Arlyn had a love for horses and cattle and an interest in rodeo. He was able to qualify for and compete in the National High School Rodeo Assn. Finals held in Harrison, Nebraska. While working to make a living and provide for his five children, rodeo continued to be a dream. He was able to attend some team roping jackpots near home and then qualified for his first NSPRA finals as a team roper. He set off on a quest to become the best rodeo cowboy he could be. He drove 90 miles, one way, several times a week to practice his roping skills. 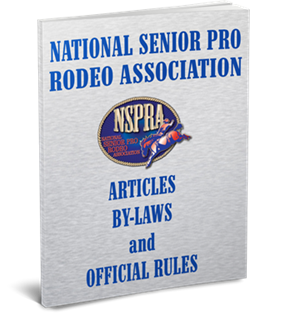 In 1997, Arlyn competed full time and won the NSPRA Calf Roping, Team Roping, and All Around titles. Total titles to date include 5 All Around, 1 Calf Roping, 5 Team Roping and 6 Ribbon Roping. He also won Reserve titles and Finals Championships. Arlyn credits Carol Stevenson for much of his success. He also gives credit to Richard Carpenter for help in calf roping and to Bob Schall for teaching him how to rodeo. Arlyn has contribution time and money in support of the NSPRA. He served two years as team roping director and helped with calf sorting for many years. His dedication, competitive spirit, leadership, and love for the sport have earned him a spot in the NSPRA Hall of Fame.